With the emergence of online casinos, the classic games have become less popular even when free. 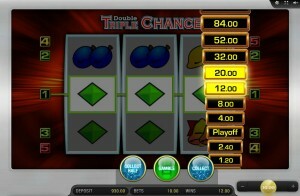 In today’s world, the modern, multi-functional video slots are what many online players prefer. However, there are still players who find the classic games exciting enough to make them choose these familiar games. Wouldn’t you love to have a double chance at winning something? Wouldn’t a triple chance be even better? 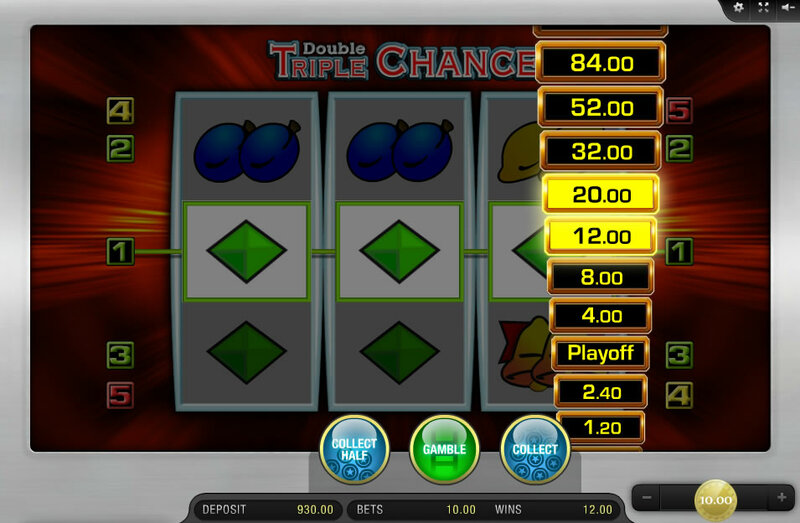 If you’re a regular player of slot games, you most likely have enjoyed playing Triple Chance. How about a Double Triple Chance? Sure, you must be thinking. 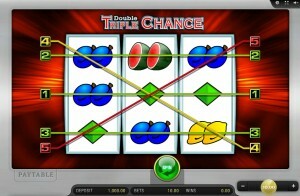 Well, Double Triple Chance is an improved version of Triple Chance. It is basically the same as the earlier version, however, its gameplay has a much improved gameplay experience, controls are easier, and above all it gives you a better crack at winning. 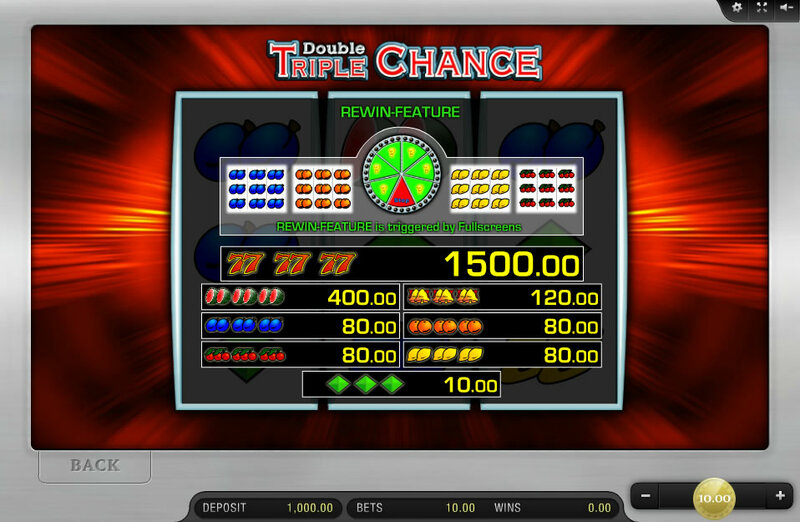 Double Triple Chance really doesn’t have much of a theme, but it does resemble those slot games of the old fruit machines as do many of Merkur’s slot games. So, why shouldn’t this one? For instance, its symbols are lemons, oranges, cherries, plums and halved watermelons. Keeping with the traditional, it also has 7s and bells symbols. Instead of the common 5 reels of today’s games, this game has the classic three reels and a three row layout. 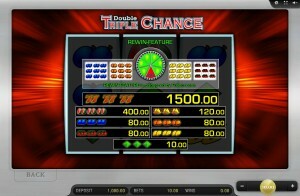 Three reel games’s payouts are assumed to be easier. The game’s 5 paylines are fixed and being fixed lowers the likelihood of your cashing out a bit more than you would like. 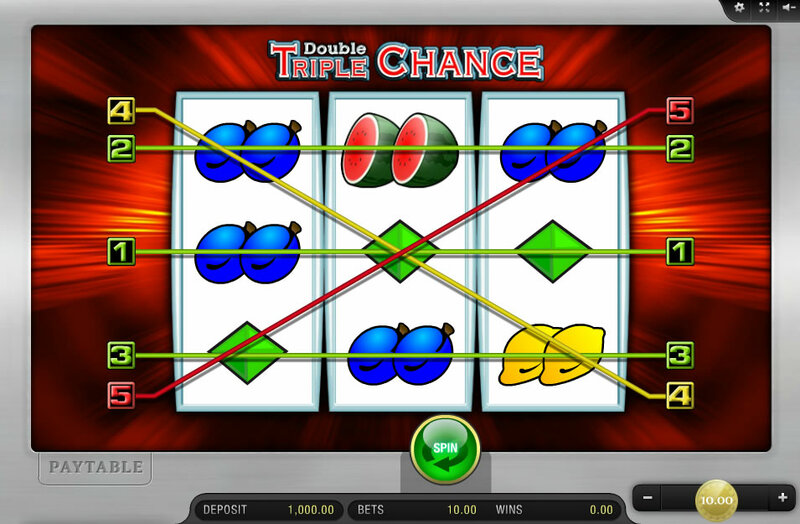 You shouldn’t be bothered by that since the game’s “Double Up” feature gives you a tremendous chance to spin a winning combination. You can also change your wager amount of each round by selecting either a plus or a minus button in the right hand bottom corner of the screen. Your wager amount must be at least $0.05 and no more than $10. The Wild symbols that can substitute for any other symbol to create a winning combination are the 7 and Merkur logo. When nine matching symbols appear on the screen and completely cover the reels, the “Re-Win” Feature is initiated. A running light then appears and crosses the reels. If this light stops on a red field, the Re-Win ends. However, if the light stops on a green field, you win with a full screen of symbols. The Re Win can take place no more than six times, and each time you can claim a full screen win. Another feature of this game is the gamble option. After a winning combination is spun, you are offered three choices. If you choose the “Ladder Game” on the right side of the screen, a ladder of values will appear. A blinking light also appears travelling among the values on the ladder. Your winnings will drop if you stop the blinking light on a lower value; but if you stop it on a higher value, your winnings will increase. However, if you stop it at zero, you lose your entire winnings. If you choose the “Card Gamble” game, you can either double your winnings or lose them. If you guess whether the next card of a virtual deck is red or black correctly, you will double your winnings; but if you guess incorrectly, you lose all of your winnings. Slot games have been around for quite some time, however, the traditional, classic games have been entertaining many people over the years. The game’s features not only offer you opportunities to win more, but also add lots of fun to the game. 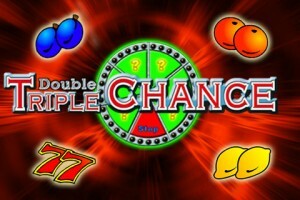 So, try your luck and have a great time with the Double Triple Chance slot game.